Fresh Blueberry Muffins - Get the Good Stuff! 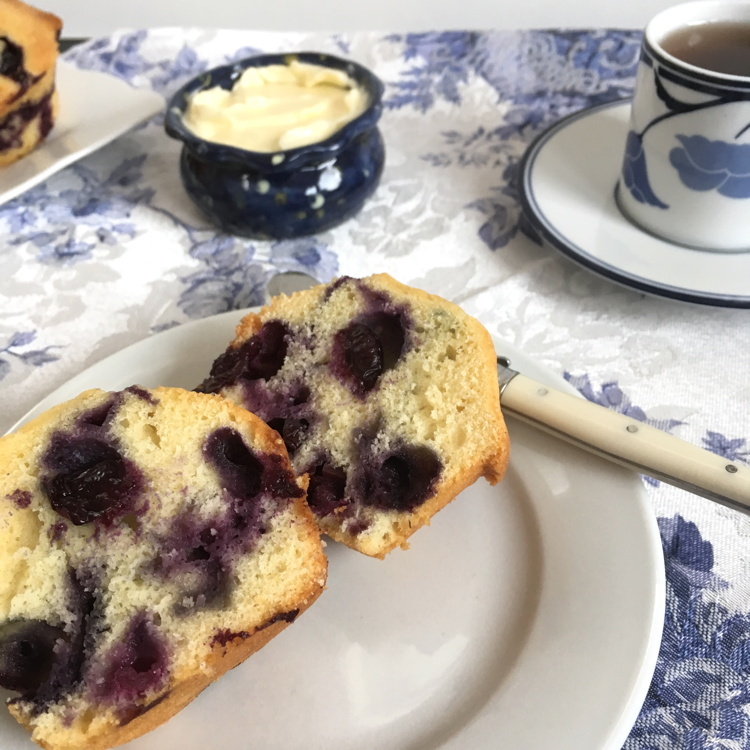 Blueberry muffins can brighten any day: when you find fresh blueberries in the market, think of this recipe! A note from my kitchen: the only difficult thing about this recipe is keeping the muffins for more than a day, not because the muffins won’t keep – but because my family won’t let them alone. Everybody here loves fresh blueberry muffins. Preheat oven to 375˚F . Liberally grease 12 muffin cups or a 12-well muffin tin. In a large mixing bowl, cream the butter and sugar until they are light and fluffy. Add the eggs, one at a time, beating well after each one. Mix together the dry ingredients and then add them into the butter/egg mixture, and beat well. Add the vanilla to the milk, then mix that in too, stirring only until smooth. Quickly fold in the berries. Fill the muffin cups about 3/4 full. Sprinkle the tops with cinnamon sugar (if desired). Bake the muffins about 30 minutes. Put them on a rack to cool for 10 minutes, then carefully loosen them with a thin and flexible (silicone) spatula. These muffins are very tender and will tear easily! Remove the muffins to a wire cooling rack, and let cool completely – or stand back and let your family tear into them while they’re still warm.